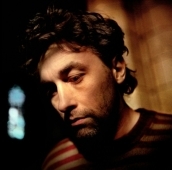 The composer, multi-instrumentalist and singer Yann Tiersen came to international prominence thanks to his film scores. Tiersen’s soundtrack to the film Amélie not only became a huge best seller in France, but also ranks among the big hits here in Czech Republic. 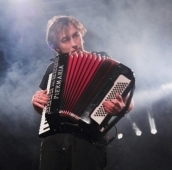 Tiersen’s minimalist music is based on repeated key motifs, which often alternate between the two main instruments, accordion and piano, accompanied by the xylophone, harmonica or orchestra. 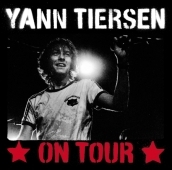 In his live performances, however, Tiersen returns to his punk-rock roots. During his concert at Archa, he and his four-member group will present a rock remix of Tierson’s latest studio album Les Retrouvailles and songs from the Amélie soundtrack. After studying classical music, violin and piano, Tiersen was heavily influenced by the energy and spontaneity of the rock and post punk groups of the early 1980’s. He began to compose music for short films and also for theatre performances. In 1995 he released his debut album La Valse des Monstrem and further albums followed. He has, however, attracted the most attention with his live appearances, during which he deftly switches between the harmonica, viola and piano. Tiersen has created the music for a string of films, including Alice et Martin (André Téchiné), La vie rêvée des anges (The Dreamlife of Angels) (Eric Zonka), Le Fabuleux Destin d'Amélie Poulain (Amélie) (Jean-Pierre Jeunet) and, most recently, Good-Bye, Lenin! (Wolfgang Becker). Following on from his 2005 album Les Retrouvailles which featured, among others, guests Stuart Staples (Tindersticks), Liz Fraser (Cocteau Twins) and Jane Birkin, he released the live album and DVD On Tour at the end of last year. Concert organised in co-operation with A.M.P. and kindly supported by: Institut Francais de Prague, Bureau Export Berlin and Ambassade de France en Republique Tcheque.